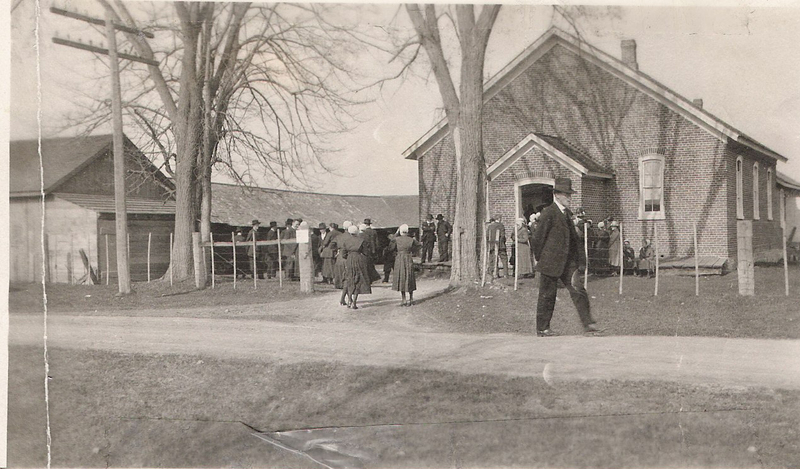 Delegates congregate outside the Stayer Brethren in Christ Church (formerly Sixth Line Church) during the 1920 General Conference. Courtesy of the Brethren in Christ Historical Library and Archives. Last weekend, as part of my work with the Brethren in Christ Church, I was privileged to attend the annual meeting of the Canadian Conference. 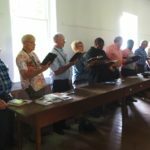 Held at the historic Stayner Brethren in Christ Church, the gathering brought together delegates from across Ontario and Saskatchewan for a time of discussion, fellowship, and corporate discernment. The Stayner congregation was home to a number of celebrated Brethren in Christ church leaders, including E.J. Swalm, the former bishop remembered often for his peace witness during the first and second World Wars. With gratitude I recall growing up in the spiritual and social atmosphere of our home congregation, now known as the Stayner Church. Here I was converted. In this church I was received into membership. Here I received my first communion. In this sanctuary I was ordained to the ministry and later to the office of bishop. Here I gave pastoral leadership for nearly thirty years. [In 1907,] they held an election for a minister to again strengthen the staff. This was one of the most unusual occasions in the records of the Canadian Church. The voting resulted in a tie for three men. They were Ernest Ditson, Isaac Swalm [E.J.’s father], and Abram Doner. The following method was used to break the tie. The bishop wrote each each name on a separate piece of paper, and after prayer dropped them to the floor. Only Abram Doner’s paper landed with the name turned down. He was thereby eliminated. Another paper was produced with Ernest Ditson’s name written on one side and Isaac Swalm’s written on the other. Prayer was offered, the paper dropped and Ernest Ditson’s name faced upwards. He was declared elected. Swalm’s father was soon thereafter also elected to the pastorate, as would be E.J. himself in the early 1920s. 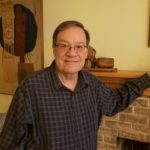 For more on Swalm, his ministry, and the Stayner church, see My Beloved Brethren: Personal Memoirs and Recollections of the Canadian Brethren in Christ Church (Nappanee, Ind. : Evangel Press, 1969). The above passages come from pages 1-2 and 89 of that text, respectively. I enjoyed this piece on the Stayner Church. E.J. Swalm was my grandfather and I attended many services in the old church building, which is across the road from the current one. Grandpa was an amazing man and a gifted story teller. When my sister & I were at Messiah College 40 years ago, we were very proud when Grandpa was invited to give a series of talks on his peace position & story. Several of our friends were pacifists & spent time talking with him. 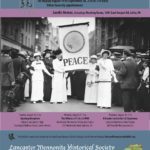 I wrote an article about E.J’s father, Isaac, in the Dec. 09 issue of BIC History & Life. Isaac became BIC as an adult as a result of attending a revival at the Stayner (then Sixth Line) church. My article, based on Isaac’s love letters, describes his inability to marry a Presbyterian woman, whom he dearly loved, because of his newly-adopted Brethren in Christ beliefs. I count it a privilege to be a daughter of E. J. Swalm. Outside of the last few weeks he spent in the hospital, I took care of him. I attended the Conf. as well but even though my sister, Lela Hostetler, told me you would be there, I missed seeing you. Sorry about that. Thank you for the kind remarks about my father.